Disguised as a foreign dignitary, top IMF agent Ethan Hunt slips into the embassy party completely unnoticed, his friends Mr T, Finn, Abby Yates and Harry Potter trailing close behind him. This is so dumb. It's perfect. 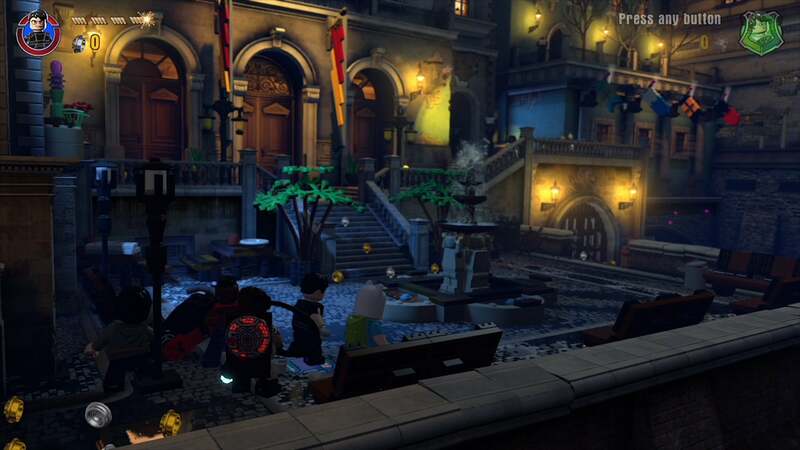 Of all the new content that recently launched in the first wave of season two content for LEGO Dimensions, the Mission Impossible Level Pack seemed like the most unlikely to entertain. The Harry Potter Team Pack features magic and flying. The Adventure Time Level Pack and Team Pack promised colourful cartoon adventures with Finn, Jake and Lumpy Space Princess. The A-Team's B.A. Baracus is always good for a fool pitying, and the 2016 Ghostbusters Story Pack, the crown jewel of wave six, gives players an entire movie game to play through. Things don't always work out the way you think they will. After a pair of lengthy LEGO games covering the entire film franchise, LEGO Harry Potter feels dull. 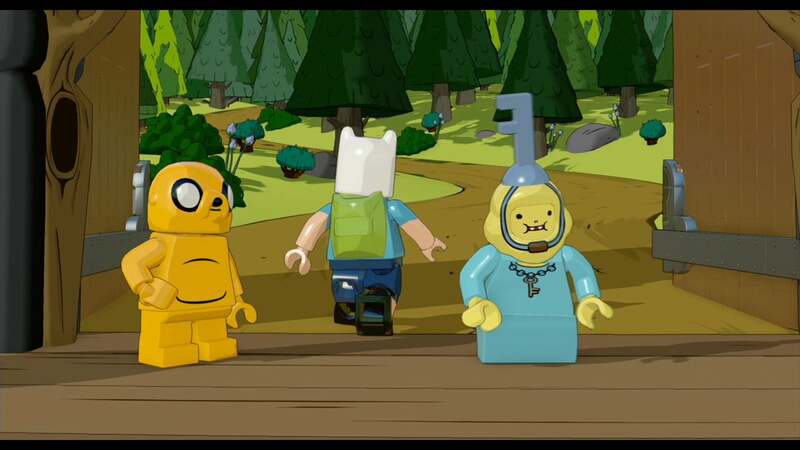 The Adventure Time Level Pack is basically a playable version of a pair of episodes I've seen a dozen times each, The Enchiridion and The Lich. The lame voiceover for B.A. 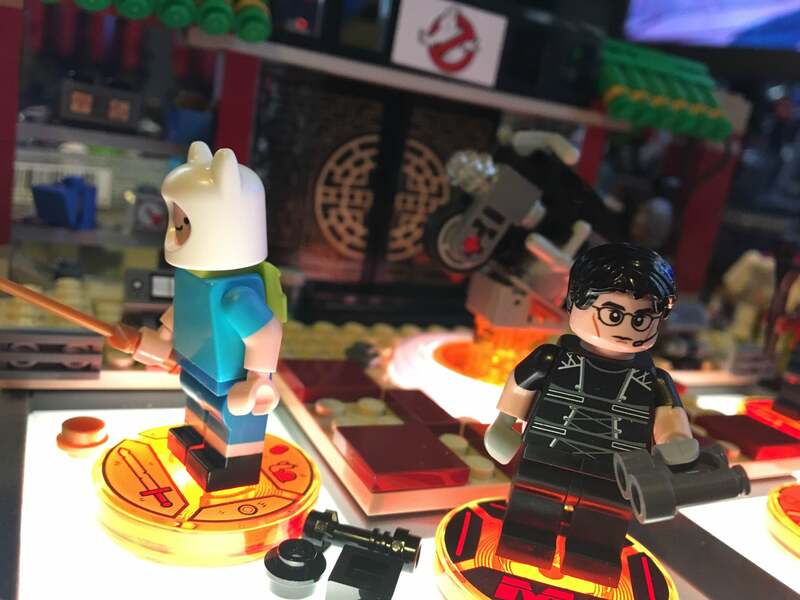 ruins everything, and while I do appreciate the awesome new base plate for the LEGO Dimensions portal, I've already played through a Ghostbusters movie in the game and wasn't ready for another. I was entertained, but not nearly as much as I'd hoped. Not expecting much, I put together Ethan Hunt and launched into the MI level. It's basically the first movie, told in a series of short chapters. It begins on a plane, where a disguised Ethan Hunt received his secret Belgian cinema message. Not so much privacy on a plane these days. His mission, should he choose to accept it, is to infiltrate a diplomatic party and capture footage of an enemy agent purchasing classified information. If I'd only left Ethan on the portal, it might not have been quite as entertaining. But no, he arrives in Prague with a full entourage of characters that have absolutely no business in his movie. We're in this super-serious, life or death mission. The fate of dozens of IMF operatives around the globe are in our C-shaped hands. They're pretty much screwed. Ridiculous characters aside, the level itself is put together quite nicely. Ethan regularly employs scanning and disguise as his mission progresses. He uses a drone to activate switches. 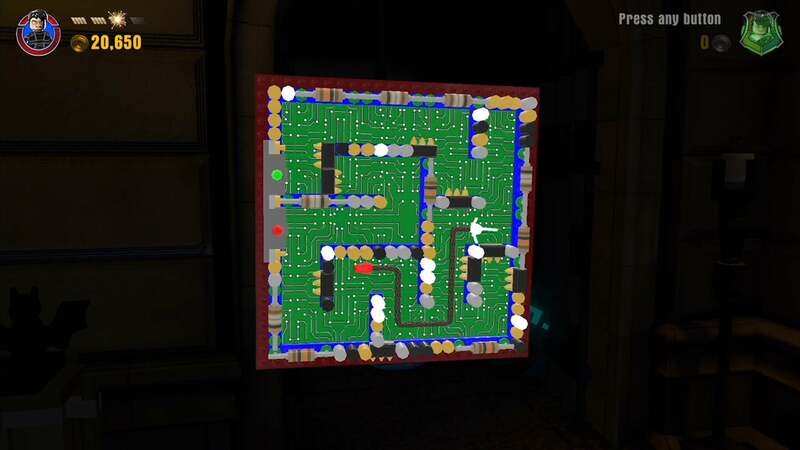 He unlocks doors and trips sensors via a clever fuse-based mini-game. Check out the video atop the post to see it all in action. The Mission Impossible Level Pack seems so out of place in LEGO Dimensions initially, but as I played through it I realised it's exactly what LEGO Dimensions is all about. Bringing together diverse brands under a unifying style that, despite all common sense, just works. Funny, I'm having the same problem and can't find any news about it or any info about how to fix it. I only got one new set as toy sales aren't too far away, but I've been trying for a week to access the adventure time world and battle arena without any luck. Thank you for contacting LEGO® Dimensions Customer Support. Unfortunately there seems to be some technical issues regarding the availability of the Year 2 updates for players in some regions, and we are currently working with Sony to make this content available as soon as possible. We don’t have an exact timeframe for when this will be resolved but we hope that the problem will be resolved soon. In the meantime I recommend that you keep an eye on your Downloadable Content in the Options menu for the game. I apologise for any disappointment that this may have caused. Now if only we knew of a gaming site that could report of such a huge issue, or maybe look even deeper into the cause of the problem?